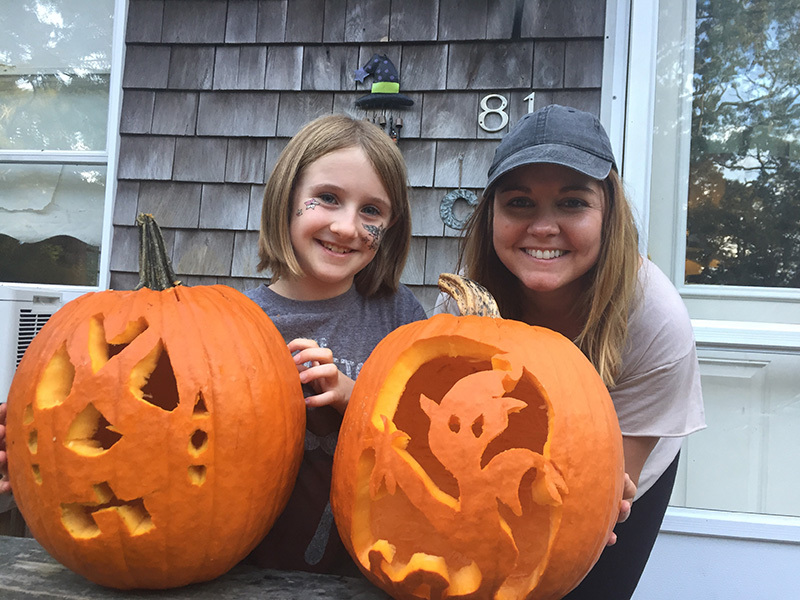 Angela Prout, right, and her "little sister" Julia Caldwell, 9, carve pumpkins. Courtesy Angela Prout. A few years ago, having recently moved to the Vineyard, I was looking for volunteer opportunities. I was finally settled into my Island home, was steadily employed, and wanted to carve out some extra time to give back, while deepening my connections on-Island. A New Yorker for 10 years before moving to Martha’s Vineyard, I had previously volunteered with New York Cares, reading to children in Brooklyn schools. On the Vineyard, my work didn’t have me interacting with children all that often, and I wasn’t a parent, so I thought an opportunity among the Island’s young minds would be a good place to focus my energy. I remembered that my stepfather was a Big Brother on Cape Cod. I was constantly “liking” the pictures he posted on Facebook of him and his “little” brother Ethan, often fishing or playing outside. I was familiar with the mission of Big Brothers Big Sisters (BBBS), and realized it would be a great organization to contact, and I figured like most nonprofits, they could likely use the help. After an initial application, a phone interview, background check, and Skype interview, I was approved to be “matched” with a “little sister.” The process of becoming a Big Sister or Brother is a thorough one, as you are committing to an ongoing relationship with your “little” for at least one year. Once approved, finding a match was actually the hardest part, considering the small world that is Martha’s Vineyard. Despite the fact that I had only been living on-Island for a year and a half, it seemed I knew more people than I thought. When BBBS contacted me for potential “littles,” the first couple of matches I already knew or had connections to. In keeping with BBBS’ efforts to nurture new, unbiased relationships, I passed over those initial matches until I was successfully “matched” with Julia. I was familiar with her family’s name, but did not know them personally. Ding, ding, ding! We had a winner. I first met Julia in February 2016, when she was 7 years old. A representative from BBBS on Cape Cod arranged the meeting, and I was introduced to Julia and her mother Anne at the Mone Insurance building on Beach Road in Vineyard Haven. I still remember picking out a bright blue shirt to wear, thinking kids liked bright colors and I wanted to appear most approachable. (It’s a good thing I picked blue — Julia’s least favorite color is pink, and I would not have wanted to start off by offending her.) As with most young kids, Julia had her reservations at first, but before long she was getting comfortable with me and we were playing icebreakers and becoming fast friends. Fast-forward to today: Julia is 9, her family has become like a second family to me, and the two of us have spent countless hours having a whole lot of fun. My experience as a Big Sister has been extremely positive and pretty effortless, thanks to Julia’s easy-to-please, laid-back demeanor and her parents’ incredible support and kindness. At first I was a little intimidated, trying to entertain a kid on Martha’s Vineyard, especially as we first met in the winter months — sounded a bit challenging. One of our first outings was to the MV Ice Arena, despite the fact that I kind of hate ice skating and feel terribly uncomfortable and uncoordinated on ice skates. I was terrified I was going to fall down and take her with me, but she was speeding around without a care in the world. At one point she even encouraged me to grab one of those metal trainers that looks like a walker on ice. I declined out of sheer embarrassment, but appreciated that she was looking out for me. I could tell we were going to be friends. Over the past couple of years we have found all sorts of ways to entertain ourselves, most of which have been less embarrassing for me. We both love to do crafts, and have made holiday ornaments, decorated Easter eggs, and frosted dozens upon dozens of sugar cookies. In good weather we’ll head to the park and throw a ball or run around playing tag and hide-and-seek. I usually let her win, or she usually changes the rules once I declare victory. We’ve frequented the Barn, Bowl and Bistro, where again she suggested I get assistance with the bumpers, because she’s just thoughtful like that (and I’m just as terrible of a bowler). Probably our most adventurous outing was to Cape Cod, where we stayed at my mother’s in Mashpee and journeyed to the waterpark at the Cape Codder in Hyannis. The weekend included her getting nipped by a ferret at Petco (she was completely unfazed), and us having to make s’mores in the microwave because I couldn’t start a campfire (again she didn’t judge me). The highlight was the waterpark, of course, and we went around the lazy river again and again and again, trying to strategically position ourselves under the emptying water bucket as we went and around, soaked and giggling. Honestly, I always look forward to spending time with Julia, and my experience has been incredibly rewarding. Not only is she a happy-go-lucky kid, but she’s so sweet and empathetic, kind and well-mannered. Sure, I’ve bought her more sugar over the past couple of years than I probably should have, but she deserves it, and she’s always grateful. She reminds me of how simple life can be, and she inspires me with her out-of-the-box creativity and her innate curiosity. I might be the “Big” and she the “little,” but her impression on me has been huge. Could your child benefit from a Big Brother or Big Sister? suggested the program. 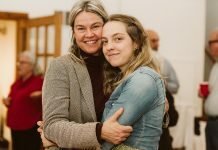 Julia’s parents agreed she could benefit from having another caring female to lean on and have fun with, who wasn’t previously connected to the family — an adult friend all her own. 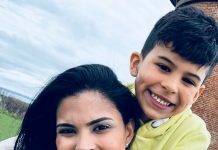 Taking on a Big Brother or Big Sister is a simple recognition that your child may benefit from having another meaningful relationship with an adult who wants to help enrich their lives — and what kid wouldn’t? 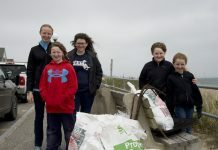 Big Brothers Big Sisters of Cape Cod and the Islands is always looking for volunteers. Men especially are currently needed to become Big Brothers. In order to apply to be a Big, you must be over the age of 18 and able to commit a few hours a couple of times a month for at least one year. For additional information, or to apply, visit bbbsmb.org/cape-cod/.